Spring is here!! And I have a handful of sessions left thru May. Once they're gone, I will be booking for summer at my regular prices. 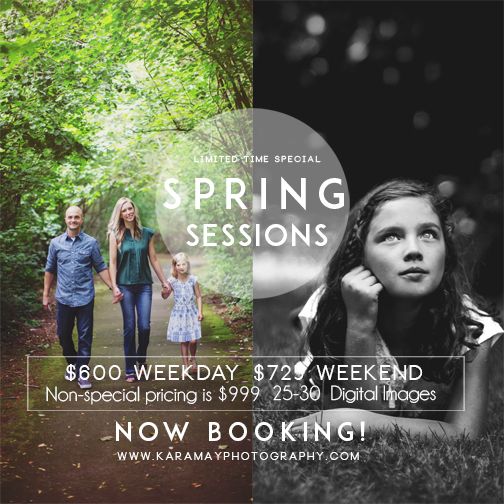 Contact me at kara@karamayphotography to reserve your session. *Note: digital files are full resolution (print up to an 8x10) and are included in the Special pricing.